What Levy found in Pixar was a company on the verge of failure. To Pixar and Beyond is the extraordinary story of what happened next: How Levy, working closely with Jobs and the Pixar team, produced and implemented a highly improbable roadmap that transformed the sleepy graphics art studio into one of Hollywood’s greatest success stories. Set in the worlds of Silicon Valley and Hollywood, the book takes readers inside Pixar, Disney, law firms, and investment banks. 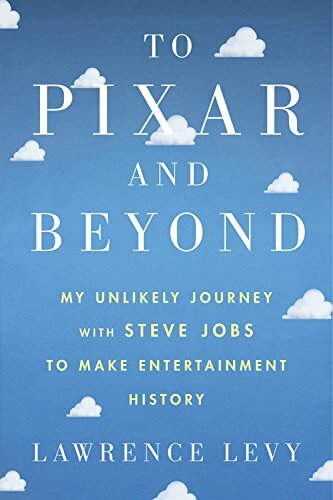 It provides an up-close, first-hand account of Pixar’s stunning ascent, how it took risks, Levy’s enduring collaboration and friendship with Jobs, and how Levy came to see in Pixar deeper parallels that apply to all aspects of our lives.